The second place pumpkin, weighing just over 1,400 lbs. 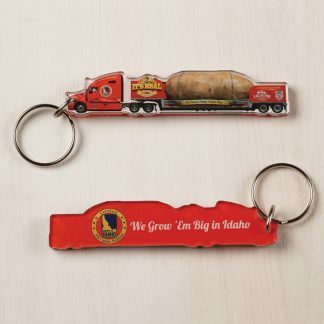 Over the last six months, the team has grown very accustom to the Great Big Idaho Potato. Whether it is displaying it at an event, doing a television interview about it or just waking up and looking at our window, seeing it no longer surprises us. It is the greatest job in the world being able to present this object to the country but the shock value has worn off on us. But our event on Sunday brought the shock value back to our job! We brought our truck to the Great Pumpkin Farm in Clarence, New York. All we could say was WOW! This was the biggest and best pumpkin farm that I have ever seen. Not only did it have zillions of pumpkins but it also had a corn maze, a haunted house, a bakery, pumpkin cannon…everything you could ever imagine! 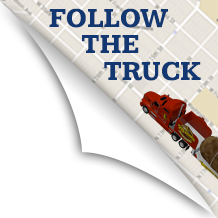 We were happy to add our truck to the collection for the afternoon!We had heard rumors of a pumpkin “weigh off” but really had no idea what to expect, until the truck turned it’s first corner. There were probably 20 VERY, VERY large pumpkins. The world’s largest potato was grown at just over 11 pounds but these pumpkins were much larger than that. These pumpkins weighed anywhere from 1000-1500 pounds! 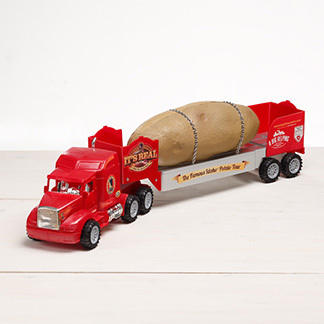 I can’t imagine a potato that big (ok, maybe I can seeing how its on the back of our truck!) As the farmers presented their “babies” and the process of growing each we marveled in amazement. Our experience is with potatoes and the growing process that takes place largely in the ground so “babying” a few potatoes is difficult. These farmers keep a very watchful eye over a crop of maybe three pumpkins in hopes that one can get large enough to win the prize money ($5,000 on this afternoon) and the bragging rights. 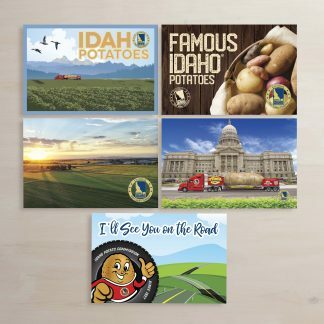 While the farmers are watching over their pumpkins we continue to watch over the Big Idaho Potato truck and just as those farmers are waiting for their moment to display these amazing pumpkins to the public, we wait until the day we can display it in a town close to you!